Well tomorrow maybe the day for my 1st. 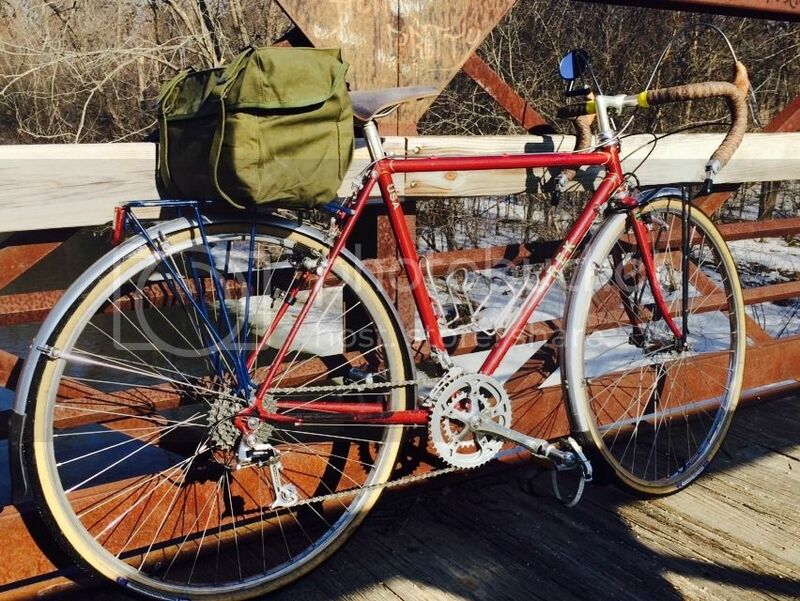 ride on my 1984 Miyata 610. I don't have my FD yet but I will not let that stop me! What I am looking for is a nice, classy trunk bag. Any thoughts? I hear good things about Frost River bags. These are nice, but I don't care for the "unracing stripe". Carradice bags are classy, also a little pricey. Basically "Duluth Kayaking" bag quality for a bicycle. Really tough to beat these in the BWCA. I have several of their kayak and bike bags and I truly appreciate the Duluth, Minnesota made quality. FWIW I also use a Carradice Barley and it is a fine seatbag. In addition, I picked up a Nigel Smythe trunk sack off ebay last year for dirt cheap. I have it on the back of my Bilenky tourer and it performed beautifully on a week long tour into Canada from the Twin Cities. 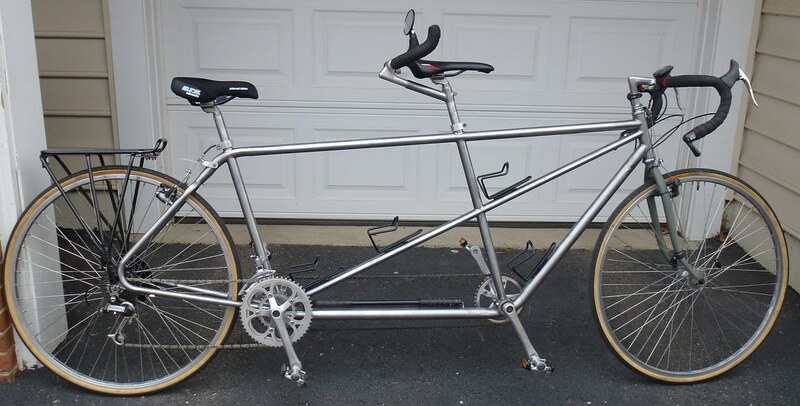 It will be on the Bilenky when we do our lap around Lake Superior this summer. I know that Rivendell sold these at one point, but I don't know if they still do. You're riding around all of Lake Superior? That should be fun. I've ridden from Duluth to Sault Ste. Marie via WI and the UP. I wouldn't mind doing the northern half one day though. Total Cycling used to carry the Carradice line and they were favorable priced. That's where my Barley came from a few years ago. Doesn't look like they do any more though. So, this is the best online deal I could find with free shipping. That looks like a great bag and they are really well built. So are their panniers. I have a full set. Yes, I am doing a full lap with seven buddies. Bringing fishing equipment of course. I've done the southern end that you have and it was spectacular. I've heard the northern side brings unique challenges to the trip. I've got a custom made bag made from a government issue M1945 Cargo Bag. 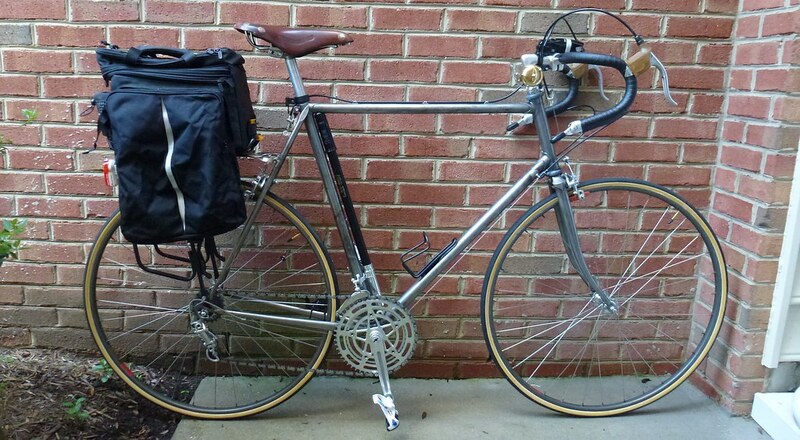 Also, last fall, I bought a set of old Cannondale bags just to get the trunk bag. Those are pretty cool- I haven't got a picture of it yet. I have three of their products, not this one, but their quality is overwhelming. They refer to them as "instant hierlooms" and they are right. Buy 'em use the crap out of 'em, pass 'em on. I also have one of the Sackvile Trunk sacks. They are great and I like the reflective stripe. The Olive green is a nice option. I have one of those in grey with a Nashbar logo. Just a hard foam box with a nylon cover. The Cannondale catalog shows it with a 6 pack inside. Gilles Berthoud 587 Large Rear Rack Top Bag is about as classy as Black Tux. I have a love/hate relationship with my bike rack(s). I hate what the racks and bags do to the aesthetics of my road bikes.... but love the utility they provide. So the bag I bought leans heavy towards the utility side. Just a cheap... but dependable and useful Bell bag from a local big box store. I've got several trunk or racktop bags. A lot depends on your intended use and need for space. The Rivendell and Frost River bags look nice if you like the weathered canvas look and don't need outside pockets. I've got a Riv Lil Loafer bag, which doubles as a front bag or small rack top bag, and it's fine if you only need to carry a few things. Both the Riv and Frost River bags are relatively expensive compared to other options. The big problem with many trunk bags is the dreaded tendency to flop, or lean to one side or the other. I replaced the Banjo Brothers rack bag that I was using for commuting with a Louis Garneau R16 for this reason, but LG bag is now starting to flop as well. Both have plenty of space, however, with handy side pockets and expandability if you need to increase the volume. They are also very reasonably priced. I recently ordered a Topeak bag because it has very firm sides and does not appear to flop, but it has much less volume than my other bags. That's entirely the opposite of how I feel about my bikes! While I'm kind of ambivalent about the bags, some look nicer than others, I like having them on there. And I love having the racks on there. Something like the old Blackburn racks, when leveled, totally enhance the look of the bike. I'm less appreciative of the old Cannondale racks and the thicker tubed racks. But a graceful rack with nice lines- really make a bike. 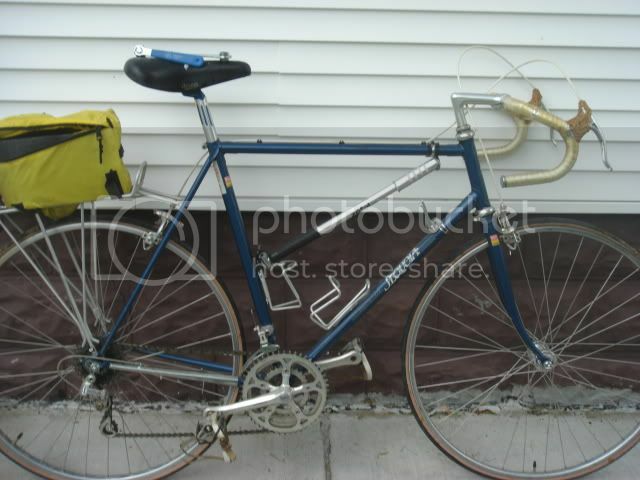 It's probably a sacrilege- but I put a Jim Blackburn rack on my 1978 Trek 730, racing bike. The old Treks came with fender eyelets, I used those for mounting the rack and the single stay to the brake bolt. It makes the bike usable for all kinds of situations. ....... I love having the racks on there.............. It makes the bike usable for all kinds of situations. They sure do! Having a rack and bag on my rain bike (it's my salty streets bike too) has really made it easier to ride this winter. If I am not sure if I need an extra layer on not... it goes in the bag. And I still have hand-warmers in there too. Just a quick note of The Golden Boy M1945 bag and thank you. Just received one from him, but not yet modified. From another thread, you can see Rootboy's workmanship and as always - excellent. Have yet to finalize how I'll mount mine but these bags seem ideal for the application. Have fun! I don't know about classy but this is what I ended up with. I didn't really want a "cla$$y" bag but one I could commute with and take lunch on a tandem ride with my stoker. Didn't want to spend a lot of money either as I prefer to only carry what will fit in my jersey pockets besides the water bottle. 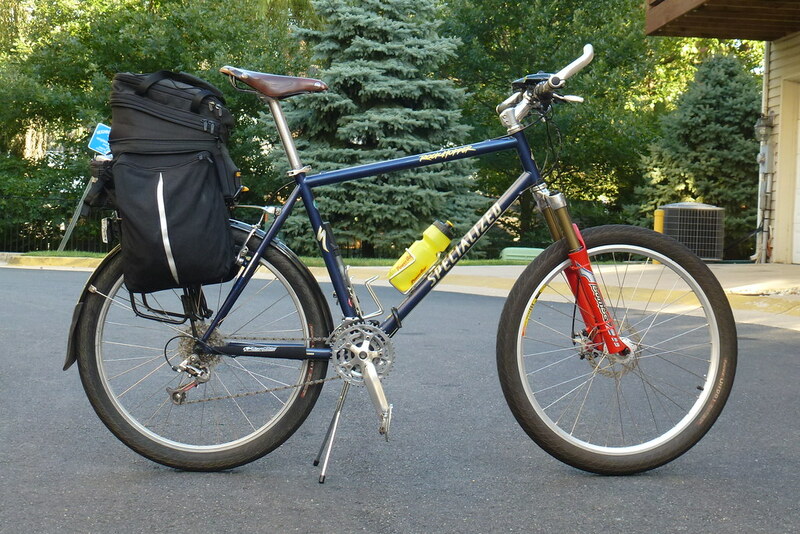 So I cruised CL and found this Topek bag with built in Panniers. Yes they are small but I can get a towel on once side shirt on the other and the rest of the clothes in the center with extras. Used price was about $50. Found the rack for about $25 and since found two more compatible racks. Works out great for me without sacrificing the flexibility to get Classy bags in the future for longer more serious rides. 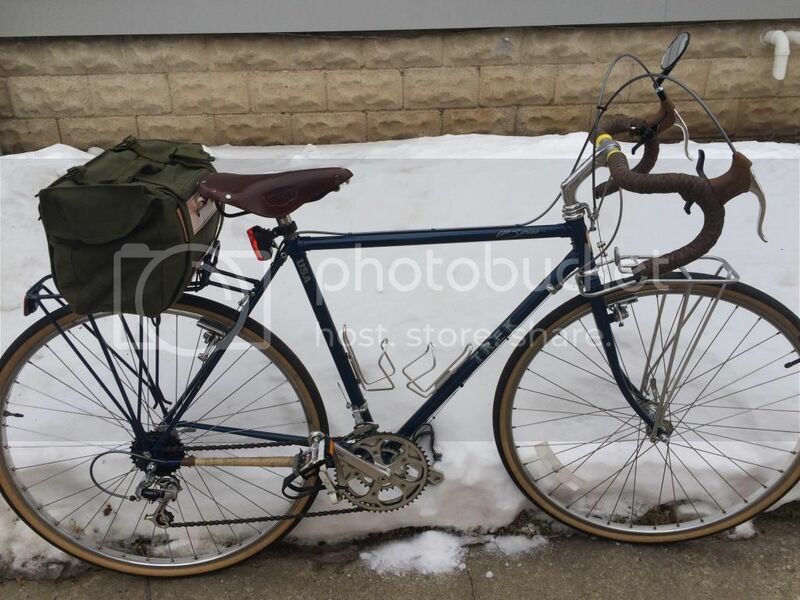 Since the initial purchase, I found an equivalent bag without the panniers for $10! Even better! Three bikes with two different level racks, all with the same mounting scheme and two options for bags! Works for me! Three racks for the three bikes and one bag to rule them all!